Oh my gosh, I’m exhausted! But it’s a good exhausted. Tonight, my family threw me a birthday party! It was supposed to be a surprise, but they had to let me know about it so that I’d actually be able to be there. *laughs* It was a BEAUTIFUL affair!! Here’s a few pictures! So today is my birthday. 🙂 If it feels like it’s been my birthday for a week, well…it almost has been. 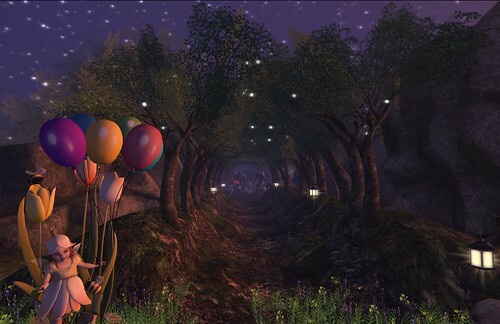 My adorable SL family has thrown me a couple of parties and since people are a little iffy on when exactly I celebrate my birthday [you can read an old post of mine about why I have celebrated 2 birthdays in the past if you’d like. ], it’s been my birthday pretty much all month. Unlike some people, I don’t really fear getting older. I’ve enjoyed my 30s more than I enjoyed my 20s, and I assume when I finally get there, I’ll enjoy whatever the 40s throw at me as well. I laugh and tell people I’m going back to 30, or 25, or 21, but it’s not because I hate my age. It’s just joking around. But I do think about age quite a bit. I’ve watched my parents grow older. My mom often tells me “I won’t be here when you’re my age, so pay attention to what I’m telling you now.” It’s all education. It’s all information. A few years ago, I participated in a study one of the local university professors was conducting on people in virtual worlds. She asked me once, “How old is Alicia?” At the time, I was 33, so I told her that Alicia was 33 as well. My avatar is me and I am her, so it made sense to me. 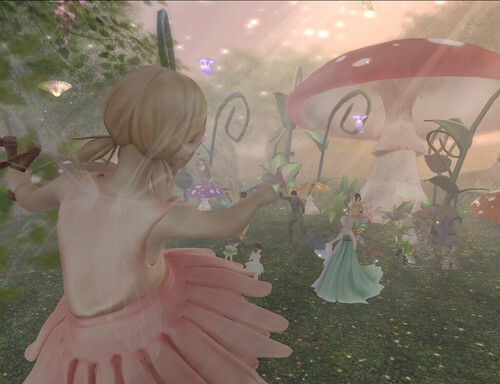 Being around the family community lately, kid avatars in particular, I’ve been thinking more about age in Second Life. Are our avatars tied to our age? If we can be a cat, or a dragon, or a supermodel, or a child, or a robot here, who is to say that we’re stuck being whatever our biological age is? I woke up this morning feeling happy and calm. I don’t often feel calm as I’m prone to anxiety, but today I feel calm. I’m going out later to have fun with my bestie and I’m excited about it. I feel young.